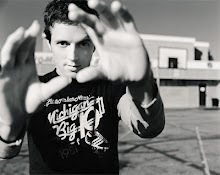 "Details in the Fabric", a soft lullaby by Jason Mraz and James Morrison is centered around one principle metaphor. The "details in the fabric" constantly referred to in the song is a metaphor for the little details in one's life. It assists in delivering the message of the song, everything will be fine. The song reaches out to a person struggling with problems in their life, and tries to inspire the person to think optimistically. The speaker tells the person in despair to "calm down" and take "deep breaths", and tells them to get up and live their daily life rather than sitting and breaking themselves up over what has happened to them. The chorus is a piece of advice that the speaker tries to give the person in distress in an effort to inspire them to be optimistic. He says, "hold your own, know your name, and go your own way", telling the person to be strong, know who you are, and continue living as if they had never been hurt, and then tells the speaker that "everything will be fine". In this song, the "details in the fabric" (the little things in ones life) are what makes the person in despair panic and get upset. The speaker asks the person, "Are your thoughts result of static cling? ", meaning, are the little things in life flocking towards you and clinging, making you stressed and unhappy? The speaker tells the person that it isn't their fault that they are unhappy, and instead it is "just the fault of faulty manufacturing". The song ends with optimism, assuring the unhappy soul that "everything will be fine" in "no time at all", and "hearts will hold".